If you dislike your strong jaw line, a long bob or LOB will become your best friend easily. It is one of the most common hairstyles opted by women with heart-shaped faces these days. The length of this type of hair is good enough to give you a soft look. You can also make a ponytail whenever you need with a lustrous LOB. As the name suggests, you are going to have a smart short bob with wonderful bouncy texture in this haircut. If volume is an issue, the bouncy bob can turn out to be a great solution for you. However, do not give this a try if your hair strands are thick by nature. These long side-swept fringes are really good to sport for heart-shaped faces. The best part of this hairstyle is that it helps in highlighting your beautiful eyes instead of drawing the attention of people to your sharp chin. Vertical bangs lying right between the bros and lids of your eyes look most attractive in this case. You can also ditch long bangs with these blunt and bold ones. Your hairstylist would be the best person to suggest you the most suitable width of your bangs for this purpose. If you want to hide your cheekbones, keep your bangs up to your eyebrows. Or else, go for some narrower fringes. Deep side part goes very well with women having heart-shaped faces. It pronounces the cheekbones in a soft manner and enhances the facial beauty to a great extent. Make sure that you do it diagonally so that your temple does not seem to be longer. Waves are always in fashion and heart-shaped faces become prettier with long loose waves. 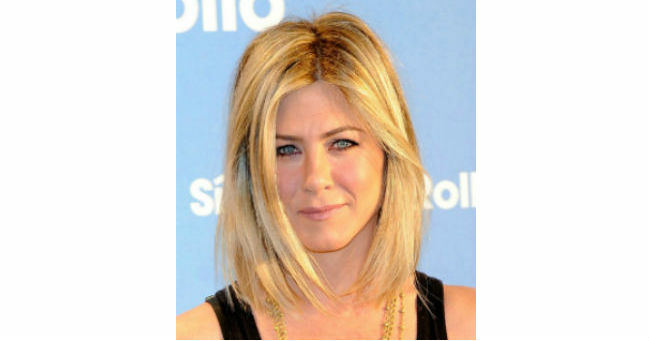 It gives a youthful as well as girly look in comparison with short straight hair. Try to maintain your hair as long as possible. Also, ask your hairstylist to add some bounce to your locks. Apart from these, you can also opt for face-framing layers, pixie cut, sleek crop, curls, ponytails, high updos, and so on to get the most out of your beauty. Never ever go for just anything and everything as might make you look even more rude or dowdy. So, which one is you going to try this weekend? Do let us know.